The Santa Fe Youth Symphony Association’s Mariachi Program provides mariachi music education and mariachi performance opportunities for kids ages 12 - 18 in Santa Fe. The program increases cultural awareness, gives our youth diverse options for musical expression, and brings together our community. The program is open to all students. The Mariachi Program consists of instruction and performance of traditional Mexican mariachi music. Two levels of instruction are available: Mariachi Garibaldi, and Mariachi Estrella. 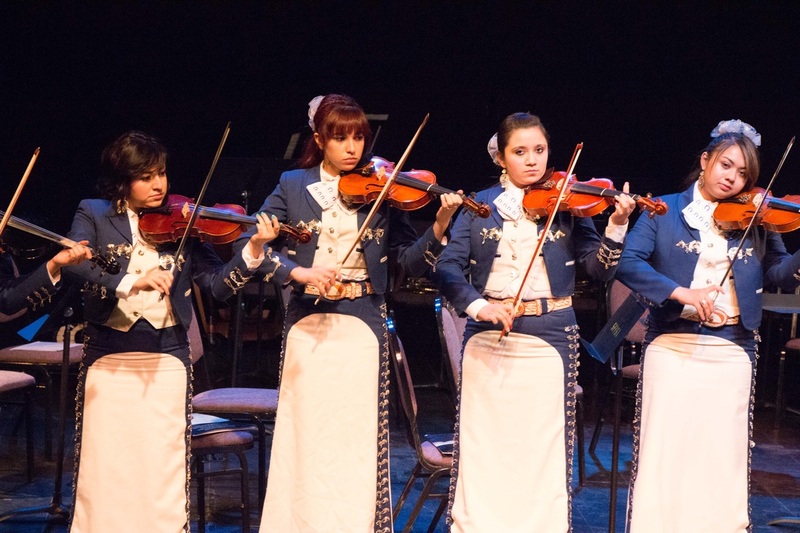 At each level, students are instructed in all aspects of mariachi: voice, armonía (guitar, vihuela, and guitarrón), violin, trumpet, and ensemble performance. Students take one hour each week of instruction per instrument they may study, plus an hour of group performance-class. Mariachi Garibaldi is our beginner Mariachi ensemble and is an introductory course for students who have played their instrument for at least 1 year. Students in this ensemble learn the foundations of Mariachi music itself. 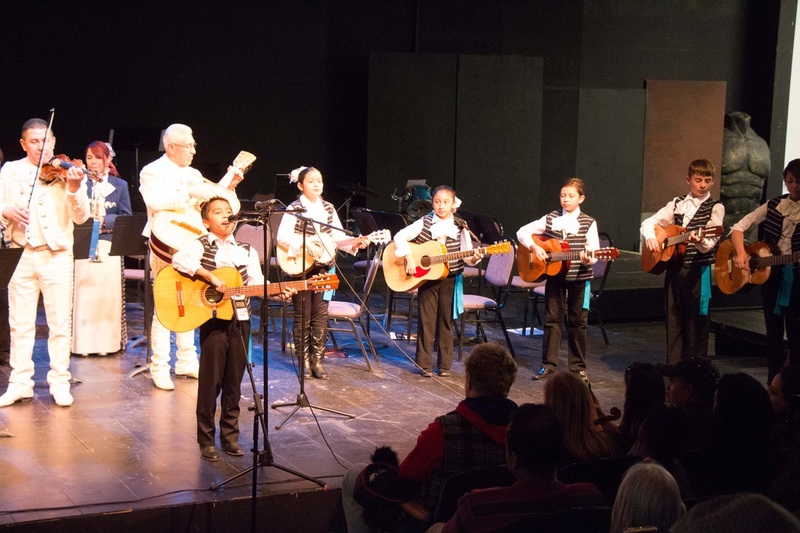 They learn about the various rhythms of Mariachi music, how to approach Mariachi music on their individual instruments, and how to put these together to create a unified sound as an ensemble. 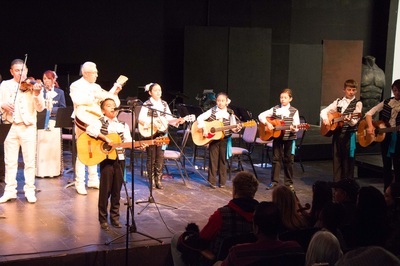 Students also begin to learn vocal techniques and harmony enabling them to sing the many choruses in Mariachi music. Mariachi Estrella is our advanced Mariachi ensemble. It invites students to reach a higher level of skill and understanding of the music. Students will learn more advanced pieces as a part of this ensemble and will learn in great detail how the different instruments and sections interact with each other. 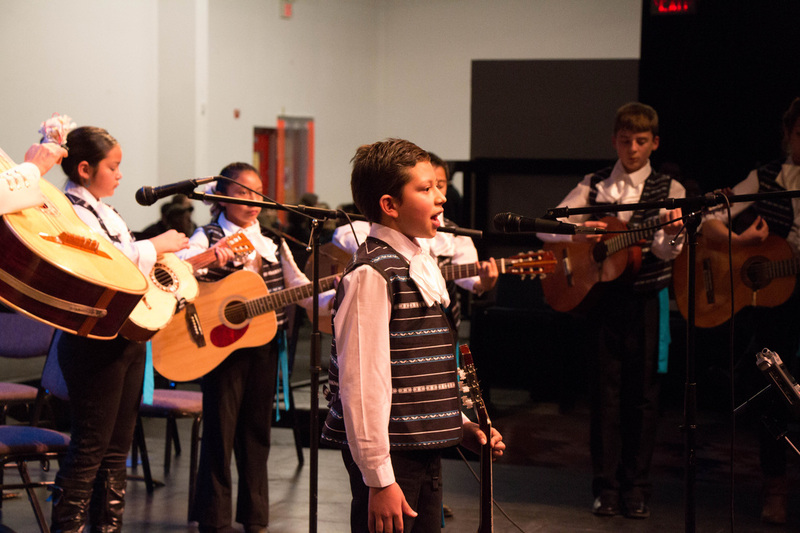 There is more emphasis placed on vocal training and students learn to sing solos, duets and trio pieces ,adding to their knowledge of Mariachi chorus. All sections delve into music theory, enabling them to alter and/or create their own music. Additionally, students will learn to express themselves in their music and performance with numerous exercises and warm-ups.